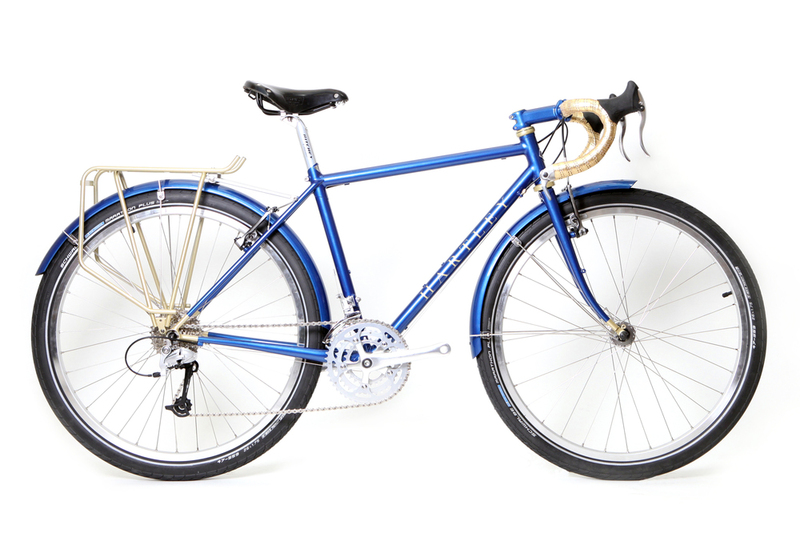 The Frameset: - 26 inch steel touring/expedition frame and forks, with 1 1/8 head tube. 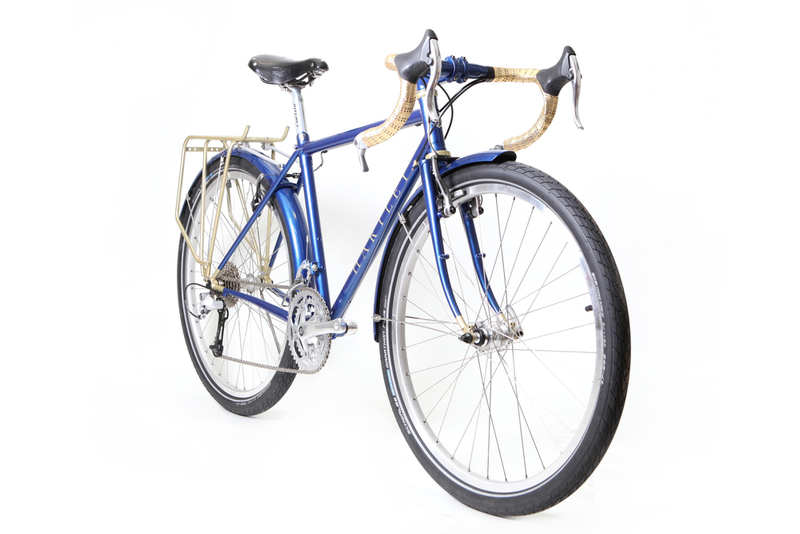 Tubing: - Reynolds 853 main triangle and forks, with Reynolds 631 rear triangle. Groupset and Finishing Kit: - Stronglight triple chainset, Tecktro RL520 long pull brake levers, Ultegra 8 speed bar end shifters with Deore 8sp mech, Brooks B17s, FSA headset (painted), Ritchey classic 27.2mm seatpost, Michaux Club gold leather handlebar tape Tubus Classic rear rack with matching low rider front rack (not pictured). Paint: - Custom paint work in metalic cobalt pale gold details. Name etc. all in paint, no decals. Forks, stem and bars painted to match. Details: - Internal routing for dynamo lighting. Solid silver details hand cut and brazed onto frame - inc. head badge & seat cluster. Sculpted end caps for seat stay/seat tube junction. 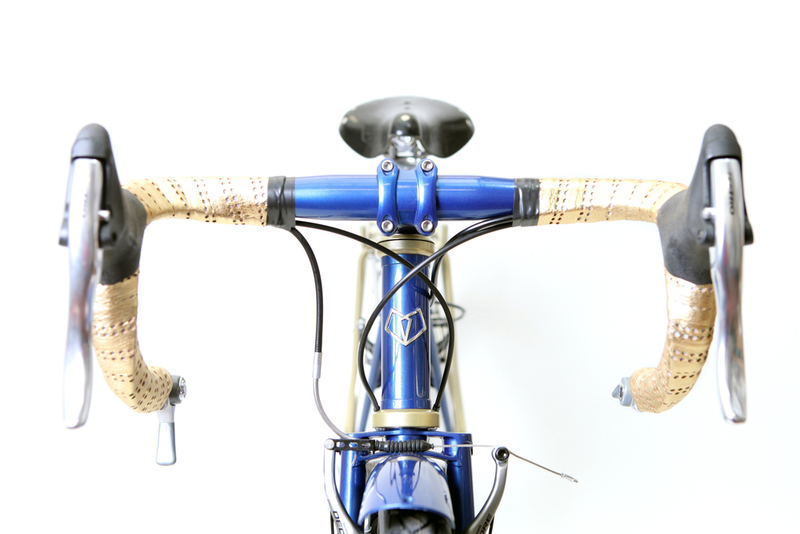 All Hartley Cycles custom frame builds and bespoke bicycles are handmade in London with great care and attention to detail by Frame builder Caren Hartley.